Place an order for inks and media in November and get a FREE entry into our Christmas Advent Calendar PRIZE DRAW! Prizes will be won every working day in December (starting 1st December). 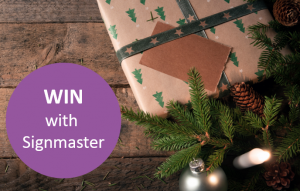 Fantastic Prizes including media, tools, Champagne, courses and much more! Our standard terms and conditions apply. One entry per customer. Contact us for further details.